San Diego, Calif., Sept. 28, 2017 — How do we create a San Diego where we all move freely? That’s the central question posed by “Design for San Diego,” or D4SD for short, a month-long, city-wide civic design challenge launched by UC San Diego’s Design Lab. You—yes, you, whether you’re a novice or a professional — are invited to design solutions to problems of transportation and mobility in our city. 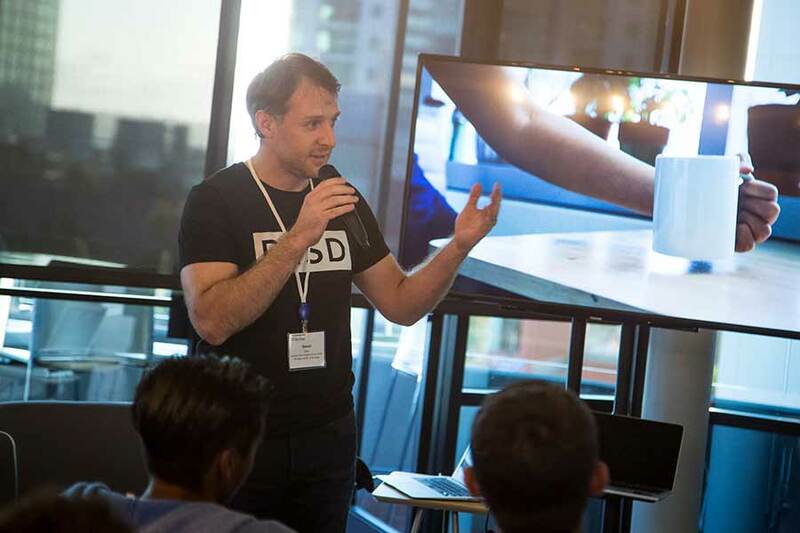 From improving commutes to preparing for a future with driverless cars, D4SD seeks to harness the power of the crowd and of human-centered design. 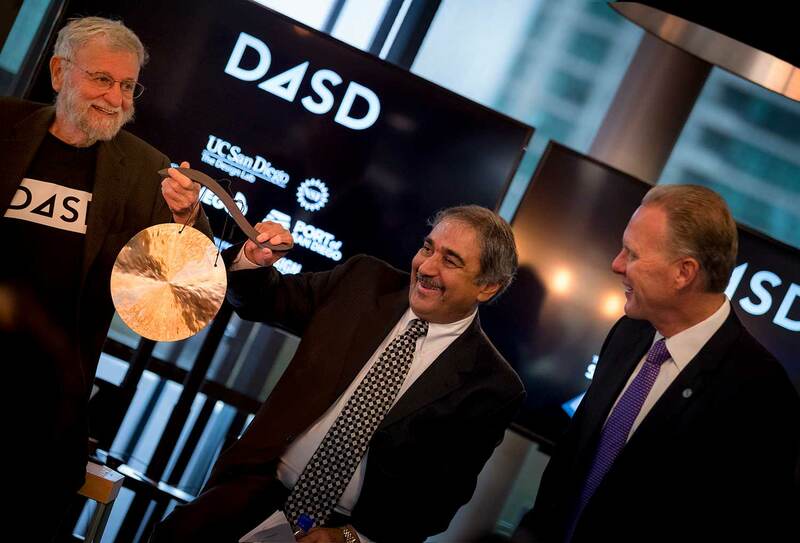 The challenge kicked off Sept. 21 at Downtown Works with San Diego Mayor Kevin Faulconer and UC San Diego Chancellor Pradeep K. Khosla. Steven Dow, an assistant professor of cognitive science at UC San Diego, is directing D4SD. The challenge, he said, is taking place through a series of in-person events and a digital public platform, where participants can network with other innovators interested in improving the city. The first in-person event after launch was a design sprint and hackathon, also at Downtown Works, starting on the evening of Sept. 22 and going into the following day. 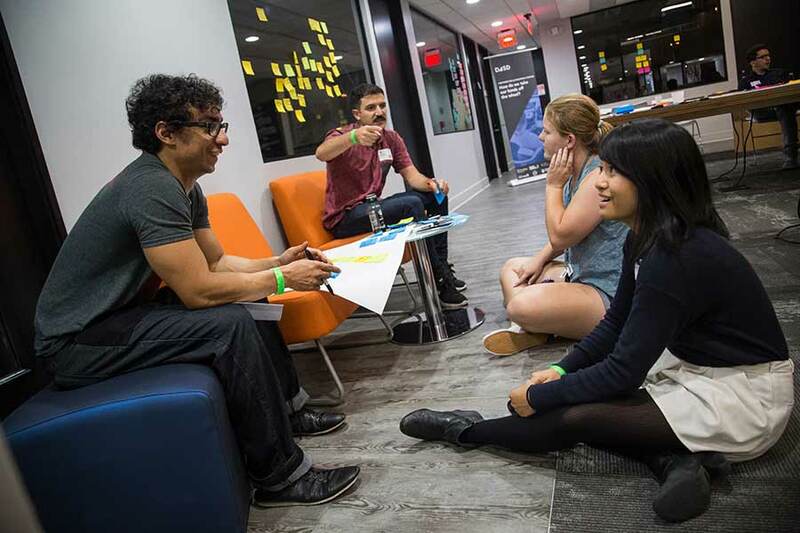 About 60 participants showed up to generate ideas, form teams and rapidly prototype a concept. At the end of the hack, Dow said, the prototypes ranged from proposed algorithms for autonomous vehicles that would allow them to move as a caravan to a new parking structure made of poster board. People who didn’t make the hackathon can still join the challenge online. There is about a month to innovate until the Oct. 24 deadline. A showcase is planned for Oct. 25-26 at the Design Forward 2017 Summit in Liberty Station. A class that Dow taught at UC San Diego in the Spring quarter of 2017 helped identify challenge topics, with students surveying San Diegans, attending meetups with city and community leaders, and conducting targeted interviews. Dow is also teaching a Civic Design class this Fall. These students will take part in the challenge alongside the public.